I share in this post a very personal spiritual experience I had recently. It should not be interpreted as applying to all women, and I believe that we all experience divinity differently if at all, and that’s okay. I have sat with too many folks devastated by God’s absence in their lives to be flippant about my experiences, and I wish to relate my experience with respect to all who read it. Trying to figure out what jobs to take straight out of college, much less trying to find jobs at all, is hard. A shocking revelation, I know. I have a few friends who are currently obsessed with Virginia Woolfe and A Room of One’s Own, and we talked a month ago about how true it is that a woman just needs her own room and some money to live on in order to unlock her potential. We joked around as we brainstormed how to get a rich aunt to give us a monthly stipend for the rest of our lives. My wistful thinking with friends hits close to home right now. I’ve been trying to figure out what to do with my life, and there’s a job I could apply for that I would likely get and would ensure me some solid financial security. It’s a government job sort of related to my interests but not directly- I would mostly take it so that I could save up for a year or two, pay off debts, and be able to take jobs if I want them instead of just for financial necessity. But I had been feeling uneasy about it, and I felt a fairly strong prompting that I need to look beyond my current economic frustrations and mild desperations and recognize that other opportunities may not grant me the same peace of mind financially, but can help me stay relevant in my field and give me better experiences. During finals week at the end of this past winter semester, I sat in the BYU library trying to plug through my capstone paper for my Women’s Studies minor. I kept getting distracted and would go apply for jobs, trying to judge what I should settle for and when I should just take a low paying job instead of holding out. I felt the waves of stress, indecision, the unknown, the crippling fear of poverty and not knowing where my next rent check was going to come from much less next week’s meals. As I sat back in my chair, staring off into space at the rows of books in the library beside me, I found myself just kind of wanderingly thinking about how nice it would be if I was married to a wealthy husband and wouldn’t have to worry about where money was coming from. I could just focus on what I want to do with my life and not have to navigate financial concerns. I could be an incredibly effective activist and advocate because I could pay attention to any important issue regardless of whether its field was lucrative. But immediately, before I could even think critically about my casual pining for a rich husband, I felt this enormous cloud of anger surround me, coming from outside of me inwards. Amidst that surrounding rush of feelings not my own, I felt almost blinded by an image of a room with a window seat that I would normally have thought was cozy, beautiful and perfect for me to sit, think, and work in. 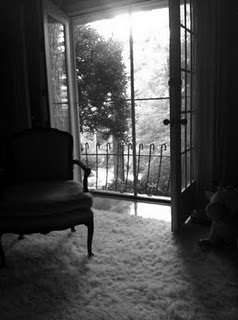 The sun was pouring in through the open window with a light breeze wafting the drapes. But the pounding emotion in my chest coming from the angry voices was that it was a CAGE. A cage and nothing more. That these women throughout the centuries who had come to surround me have had to sit ladylike in that room, rely on their husbands, forego outside opportunities. That they did not feel free and would not want me to wish it, and in fact actively want me to go through the pain and trials of financial insecurity because it is better than that cage, that prison, and better for my own personal journey. Their dismay and frustration dissipated, leaving me shaking a little because they were ANGRY that I would even consider it, that I wasn’t acknowledging how trapped and imprisoned so many women have been throughout history and continue to feel to this day. The surge of their frustrations had felt as if they have always been around me but with a separation, and when I began to yearn for an easier path with a rich husband, their disapproval had been too strong to be held back from my consciousness. That feeling, that their anger had been so strong as to break through a barrier normally between us, is now firmly imprinted in my memory. I want to make clear that this experience felt very, very personally directed to me- that for my life’s work, the decisions I make right now in my life as a 21 year old woman will be extremely formative and set the path for the coming years. It felt as though the specific women who surround me do so because they have specifically chosen to, and as unique individuals they expressed their honest feelings. I honor and respect the many women who have chosen to rely on their husbands as well as women who have not chosen to but are looking for ways to increase their independence. One of the most important things the modern feminist movements have done is to advocate for women to have more options for such independence and to never be forced into relying on a husband for their survival. I hope to dedicate my own life’s work in part to joining my voice in that fight for choice, for women to be agents unto themselves, for women to never again know that cage which on the outside can look comfortable, protected, and safe. These women, whoever they are, have taught me a lesson for which I am now immensely grateful. They have helped me to understand that I do yearn for a freedom that I made for myself. In the weeks since this experience, I have felt their presence on a few other occasions, always when I am deep in my own thoughts. Our brief connections have awakened in me a remembrance of many more women who have gone before me as I try to imagine how they might think and feel could they see their counterparts today. I am exasperated that we are still fighting many of the same fights as even centuries ago, but I am also filled with a “brightness of hope” that women today undoubtedly have tools and opportunities our foremothers never had. May we continually be aware of our blessings, of the sacrifices of those who have gone before us, and of the necessity of ensuring women have the choice to do and be who they want to be. Hannah, this is beautiful. Thank you for sharing such a personal experience. Hannah: This is so special. thank you for sharing. I have also been made aware of those beyond the veil watching and reacting to my choices on occasion. It is always somewhat startling and wonderful to feel that connection. I hope you continue to listen to what they have to say and that you follow your heart because you have been called to a great work. Great. Again, thank you for sharing. Wonderful, beautiful experience. I hope you’ll be able to do more research some day to be able to identify these women, to learn about their lives and how they lived them. What was the difference between hoping you had some rich Aunt who could give you a stipend and marrying money? Was it because the rich aunt was less of a possibility? Would it have been better to have someone, woman or man, be willing to give you a stipend with the only string being that you do what you love? Everything good comes from God, God does not send anger. He is gentle and kind and the spirits that feed off anger are from Satan. That feel happy when when they can get you to feel angry. I know that this one comment isn’t going to change your mind, but you are hurting a lot of people. Also it sounds a lot like Satan to need money to further a cause. One sad day you will finally realize you are on the opposite side from God. Everything good comes from God, God does not send anger. He is gentle and kind and the spirits that feed off anger are from Satan. They feel happy when when they can get you to feel angry. I know that this one comment isn’t going to change your mind, but you are hurting a lot of people. Also it sounds a lot like Satan to need money to further a cause. One sad day you will finally realize you are on the opposite side from God.